We’ve been covering the pink slime “meat” issue all month here at Inhabitots, and now, some good news for kids. Amid pressure delt out by a mixed social media + parent storm over so-called “lean finely textured beef,” better known as pink slime “meat,” the USDA announced that starting next fall, schools participating in the national school lunch program will be allowed to opt out when it comes to pink slime on the menu. Better yet, fall isn’t good enough for many parents and schools, so some schools are opting out voluntarily even sooner, taking pink slime off the menu as we speak. This would be one of those stunning examples of how social media and parent involvement can significantly change schools, making them healthier and safer for our kids. Poor quality school lunches, and yes, even pink slime meat have been swirling around for years, so it’s not as if this is a new issue. What is new, is that this is one of the most focused social media and parent campaigns ever to actually create quick change within the national school lunch program. This March, instead of just sitting back and accepting disgusting school lunches, which sadly, has been the norm, parents actually stood up, started signing petitions, and calling schools demanding change. The result? As noted above, the USDA has decided that serving pink slime will now be optional – which is a sad little move if you ask us because it should be banned entirely. 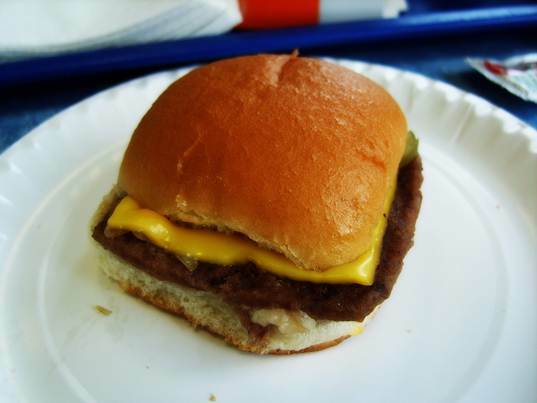 Schools themselves though, have taken notice of parent concerns and have begun to cut pink slime from the menu. Parents take note, because if you’re upset about toxic schools, BPA, unsafe toys, or other green kid issues, you can make a difference. Speak up, talk to your friends, sign petitions, call or visit your child’s school, and keep on making lots of noise. Change will come – but only, as this pink slime issue shows, if green parents learn to make a scene. We've been covering the pink slime "meat" issue all month here at Inhabitots, and now, some good news for kids. 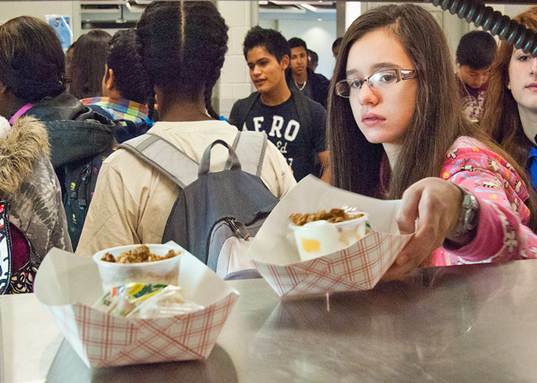 Amid pressure delt out by a mixed social media + parent storm over so-called "lean finely textured beef," better known as pink slime "meat," �the USDA announced�that starting next fall, schools participating in the national school lunch program will be allowed to opt out when it comes to pink slime on the menu. Better yet, fall isn't good enough for many parents and schools, so some schools are opting out�voluntarily even sooner, taking pink slime off the menu as we speak. This would be one of those�stunning examples of how social media and parent involvement can significantly change schools, making them healthier and safer for our kids.